First off, I wish non boxing people would not conduct post fight interviews. Jim Gray told Bernard Hopkins that he “clearly” won the fight. He later asked Pascal how he thought he won the fight by giving him punch stats. Anyone in boxing knows that punch stats are not a representation on how a boxing match is scored. Each round is scored separately, and then when you factor in knockdowns, using punch stats is almost a mute point. Gray has no business being involved with boxing. He is clueless. Round 1 – Hopkins dropped from a punch to the side of the head. He claimed it was behind the head, but replays showed it to be a legal blow. 10-8 Pascal wins the round. Round 2 – Pascal still in control, landing the better shots. Pascal wins the round. 20-17. Round 3 – Hopkins winning the round, but gets dropped again from two left hooks by Pascal. I don’t discredit knockdowns, and even though Hopkins got up right away, he was clearly buzzed. Another 10-8 round for Pascal pushes him ahead 30-25 through three. Round 4 – Hopkins best round of the fight so far. He controls the ring. Wins the round 10-9. Pascal leads 39-35 overall. Round 5 – Back and forth round. Tough round to score. I thought Pascal did slightly better. 10-9 Pascal. Pascal leads 49-44. 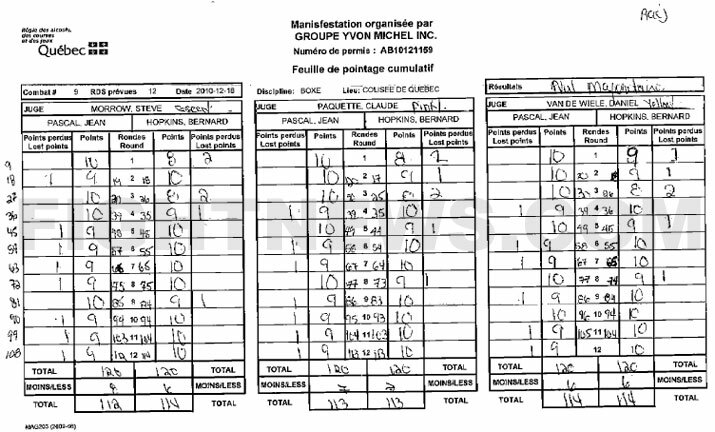 Round 6 – This is the round that Pascal started to slow down, and Hopkins really started picking up the pace. Hopkins wins the round 10-9. Pascal leads 58-54. 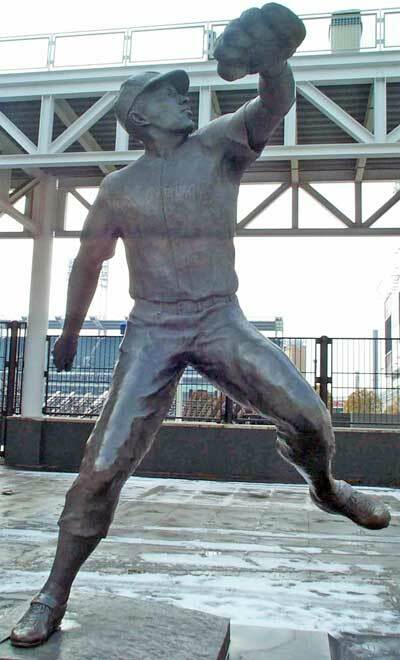 Round 7 – Hopkins all day. 10-9. Pascal leads 67-64. Round 8 – Very close round. Both had their moments. I thought Pascal landed the harder shots. Pascal wins 10-9. He’s up 77-73. Round 9 – Hopkins takes back control of the fight. Momentum is totally on B-Hops side now. 10-9 for Hopkins. Pascal up 86-83. Round 10 – Hopkins wins the round 10-9. Pascal up 95-93. Round 11 – Hopkins wins another round 10-9. Pascal up by one, 104-103, heading in the final round. Round 12 – Hopkins started fast, both fighters landed great shots, I thought Pascal counterpunched great in this round and landed the harder shots, especially in the final minute. Pascal wins a very close round 10-9. I have Pascal winning 114-112. overall. That’s how I came up with my score. If you go by rounds, I had it six round apiece, a draw. Factor in the two knockdowns, and you have a two point differential.